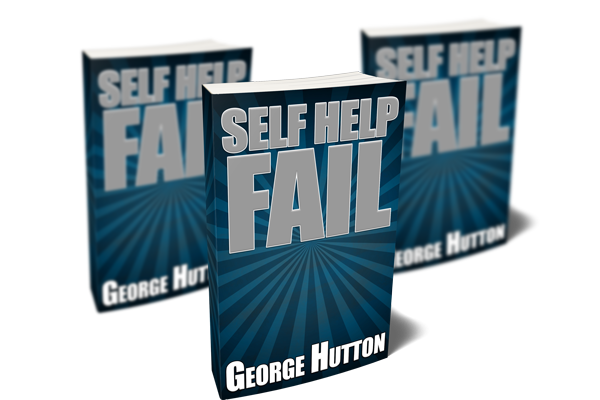 The self help industry is filled with snakes, scammers and con artists. We all know that. Since the dawn of time, humans have been inventing new and ingenious ways to pull one over on each other. If you’ve bought into any of these, (and we ALL have!) then you know the feeling. Perhaps all too well. You read a fancy headline. Read a killer sales page. Hope you’ve finally found the missing piece of the puzzle. But then the product isn’t quite what it promised. The stuff that worked so well in the seminar doesn’t work at all in the real world. Or worse, the stuff you could do in the seminar, is nearly impossible to do in the real world on real people. This same process happens over and over. You get excited, spend some money, only to get let down. A few weeks or months go buy and the process repeats itself. Each time you think this is the one. This is the product that is going to make all the difference. This is the exact same process that happens with weight loss. Every year we spend tens of billions of dollars on weight loss products, but we keep getting fatter. Think and Grow Rich, perhaps one of the best selling self help books of all time, was published way back in the 1930’s. Yet very poor people read that book and became rich people. Curiously, the self-help financial space seems to have just as much success as the weight loss and health industry. The truth is that very few people are actually conning anybody. 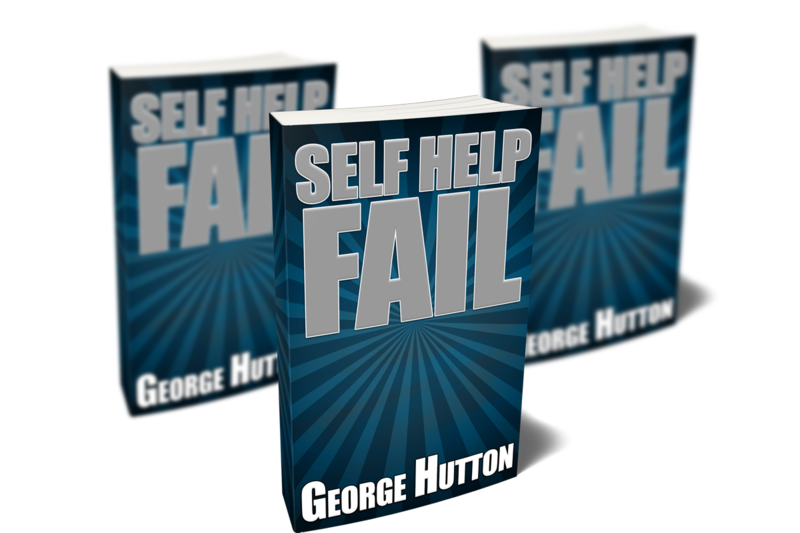 The truth is the when Napoleon Hill wrote his seminal work, he actually believed it. After all, he didn’t make up a bunch of metaphysical mumbo jumbo. He actually studied rich people. He studied poor people. Even with a scientifically elicited structure of both wealth and poverty, we still can’t figure out how to make it work. Napoleon Hill is not a con artist. Most people who write and teach weight loss books are not con artists. Many of them are physicians desperately trying to help us. Unless we know everything about something we are trying to do, we’ll fail. We can learn things. The skills gotta be simple to see and practice. We need a model. We gotta understand how long it’s going to take. Eliminate any of these and we’ll be frustrated. Being frustrated is not an evolutionary mistake. It is a very useful motivational strategy. You try something, you fail, you get pissed. That energy drives you to try again until you succeed. But this only works if you know what to do. If you know exactly what you did wrong. It requires you have all the information. If anything is missing, you’ll be frustrated but in a bad way. You’ll have the natural energy of frustration, but with no where to point it. This causes anger and fear and a whole slew of unhelpful emotions that make learning impossible. One of the common problems lies in simple statistics. You got a thousand people all trying to make money, and one of them is bound to get rich. Unfortunately, many of the reasons they got rich are reasons they’ll never truly understand. So when they try to teach others how to get rich, they will be leaving out a lot of information. The more complicated the skill is, the more likely the guru teaching us how to do it will have an incomplete idea of his success strategy. Another problem is people who can do very well don’t generally make the best teachers. Magic Johnson was a fantastic basketball player, but he sucked as a coach. Pat Riley, on the other hand, was a fantastic coach, but he sucked as player. The answer starts by forgetting that you can be taught how to succeed. We must learn to succeed. It’s the only way possible. By learning how on our own. By training in the skills needed to get what we want. Warren Buffet famously said that if you are excited while making money, you’re doing it wrong. Making money should be boring. Mechanical. Systematic. The bigger idea here is that any success should be boring. Mechanical. Systematic. One critical understanding is the interaction between our conscious minds our mind-body behaviors. Scientists tell us that more often than not, our conscious mind is a watcher, not a chooser. Not a decider. We can watch our behavior, but controlling our behavior with our conscious mind is much more difficult than we realize. Even comparing the relative sizes and ages of our different brains shows this. Our ancient brain, the reptilian and the mammalian, have been around for millions of years. The part with our consciousness, the neo-cortex (new brain) not so much. When you try and lose weight (or do anything) with sheer willpower, you are trying to control your ancient and very powerful instincts with your very recent, and very weak conscious mind. The true purpose of our conscious minds is to create new instincts. To develop new skills to the point of unconscious competence. So we create a desire, and let our new instincts do the rest. Success is supposed to be easy. It is supposed to be automatic. It is supposed to be boring. The path to success is simple when you understand how to properly use your mind body system. How to figure out what skills you need, and then get busy training them until they are new instincts. Training new skills is boring. Achieving success is boring. But it also won’t ever cost a nickel once you figure it out. This guide is absolutely devoid of metaphysical mumbo jumbo. It is devoid of false promises and anecdotes of rags to riches. It is your meta blueprint for success. If you had a recipe to bake a cake, the right ingredients and the right tools, you’d get a cake. No magic required. This guide will give you the strategies to figure out the skills you need to get what you want. And then figure out how to train them to the level of new instincts. Once these new instincts are programmed in, success is certain. This is the way things are supposed to work. But they require that you have the actual instincts to create the outcome. Think of something you can do now, without really trying. That is how everything should be. It is how everything will be once you figure out how to train in the instincts needed to get it. But without understanding the most important part, of needing to train in new instincts, it seems like magic. This is why those expensive guru seminars sound so compelling. But without taking the time to train in the new instincts, all you’ll get is frustration. And not the good kind. You’ll learn to first point your brain in the direction of your desires. Then you’ll learn a very easy, and very simple strategy of moving slowly toward that direction. Slowly picking up skills along the way. This will be a simple process. It will require daily activity, but you’ll never feel frustrated again. As you get closer, you’ll learn more skills. As you learn more skills, you’ll feel the possibilities opening up. Soon you’ll be setting objectives and achieving them. And they will be boring, mechanical and automatic, just like Warren Buffet recommended. Stop guessing. End confusion. Set yourself on a path of consistent and growing success. Get this guide now and get your life on track. Leave the metaphysics behind and leverage the laws of real science. Construct your life step by step, brick by brick, skill by skill. Discover your own path to greatness. Get this guide now and start building today. Ever single day is an opportunity to slowly increase your skills, grow your comfort zone, and expand what’s possible. Make every today better than yesterday. Make every tomorrow better than today. Get this guide now and get going.